November is a wonderful month that is beautifully "in between" Fall and Winter. No matter how hard we try, we always get the blues. 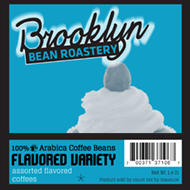 I'm giving away a 24 count box of Brooklyn Bean Roastery Flavoured Variety Pack Coffee (K-Cups)! The Flavored Variety Pack includes: Vanilla Skyline, Maple Sleigh, Cinnamon Subway, Coney Island Caramel, Oh Fudge, and Hazelnut. Which coffee flavour and activity (keep it clean) best helps you overcome those pre-winter blues? 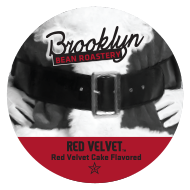 For me, it's Brooklyn Bean's Red Velvet and cross-stitching! Yes, it's that simple! Contest will end on Monday, November 30 at 11:59 p.m. Vanilla flavored coffee and reading a book. My favorite coffee flavour is Breakfast Blend. And the activity that helps with pre-winter blues is to take a walk and see the leaves and their beautiful colors. Cinnamon Subway Coffee & walking briskly in my hilly neighborhood keeps the winter blues away! Thanks for a great giveaway! Cinnamon Subway as I'm sitting on the couch listening to Christian music in the morning!. Mocha flavored coffee and cuddling with my kitty is the best way to overcome the pre-winter (or any other type of) blues. The coffee flavor I would love is Oh Fudge. To keep away pre-winter blues, I do try to take walks when the weather is decent or I just walk about my building at work. Exercise is super to keep blues away. I would like Vanilla Skyline and reading. I think Oh Fudge!, my knitting and a great movie help me shake the pre-winter blues. Drinking hazelnut coffee and reading good books help me overcome anything, including pre-winter blues! The cold winter days are when we catch up on all the tv shows that recorded on our DVR and all the movies we didn't have time to watch all summer! And I like a deep, dark roast. So I think the Fuhgeddaboutit roast would be right up my alley!